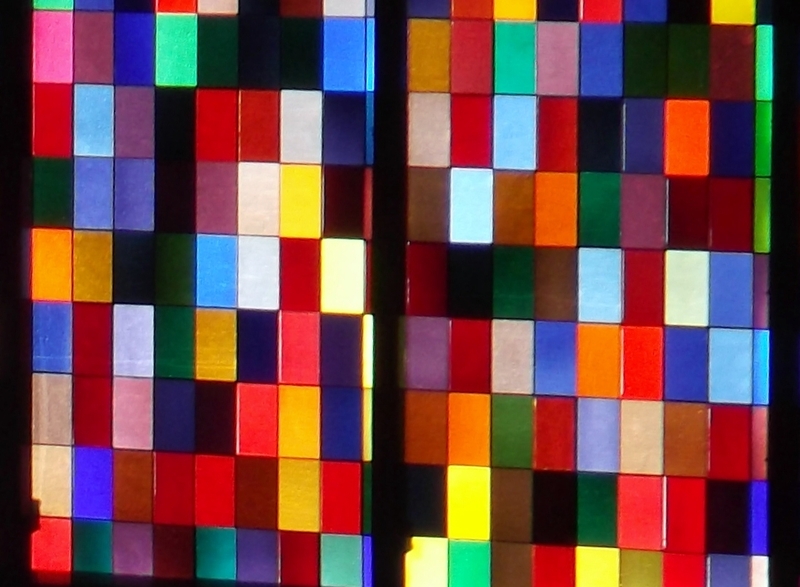 Let there be light: 72 shades of………colored glass. 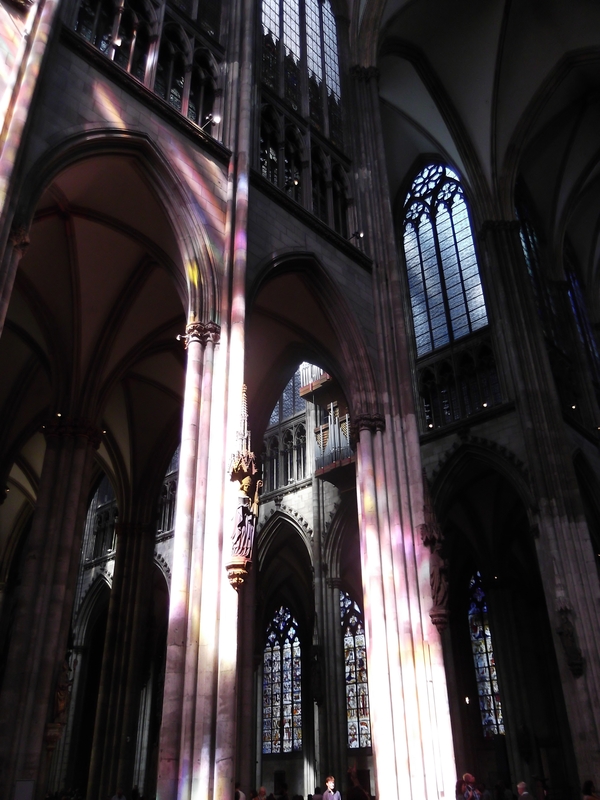 These are the reflections of light inside Cologne Cathedral (Germany) as the sun is shining through the famous stained glass window by artist Gerhard Richter. 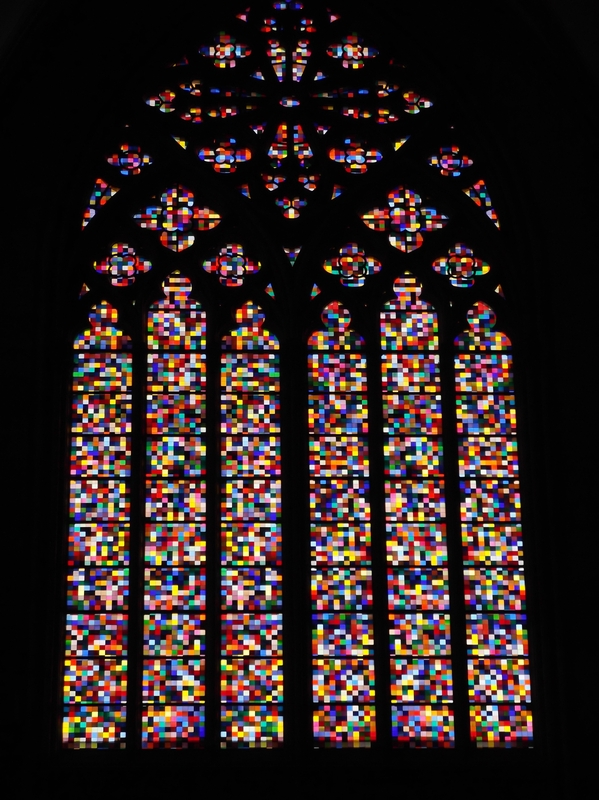 In 2007, Richter designed a window in the facade of the south transept of Cologne Cathedral. He applied a pattern comprising 72 different shades of colored squares. The window consists of 11.263 mouth-blown glass squares. Nothing in these shots is photoshopped, the colors look exactly as you see it. 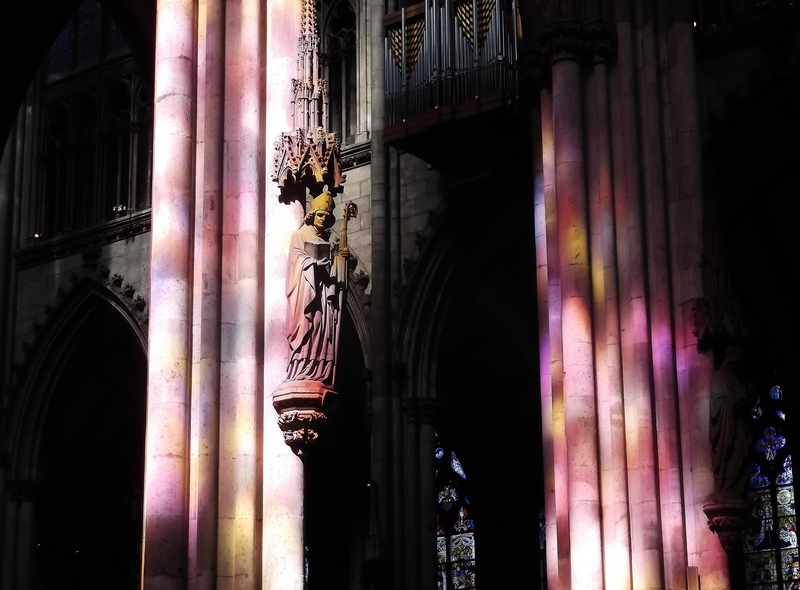 If you want to visit Cologne Cathedral, make sure it is a sunny day, so you can experience this light spectacle. wow, that window is great! ja, ich war in letzter zeit ein paar mal da. Absolut faszinierender Bau.